Here we are for another year of a Mercedes-Benz Fashion Festival! Everything is getting into full swing as designers, models and event organisers alike are all getting fired up for another successful year to celebrate fashion and art together. And to top it off, $1 of every ticket sold for the fashion festival will go to Bravehearts, a charity that is dedicated to empowering, educating and protecting children. In celebration (and anticipation), we had the pleasure of getting an interview with a designer who will be showcasing this year, Cheryl Creed of MurriiQ Designs. 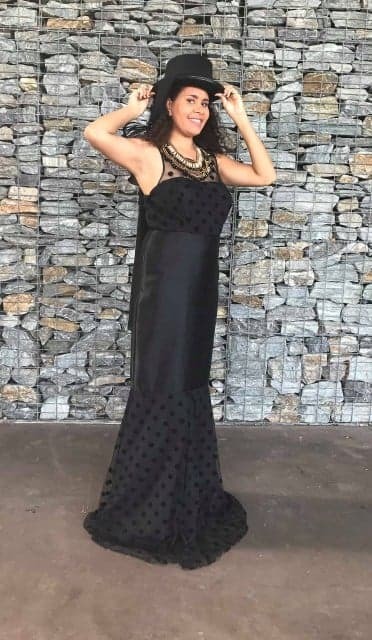 The name behind MuriiQ Designs stems from the word “Muri” (with one i), which is the name Queensland Aboriginal people call themselves, and the Q for Queensland and Queen, because this women’s label is all about the empowerment of women! TCI: How/When did you find out that you were showcasing at MBFF? 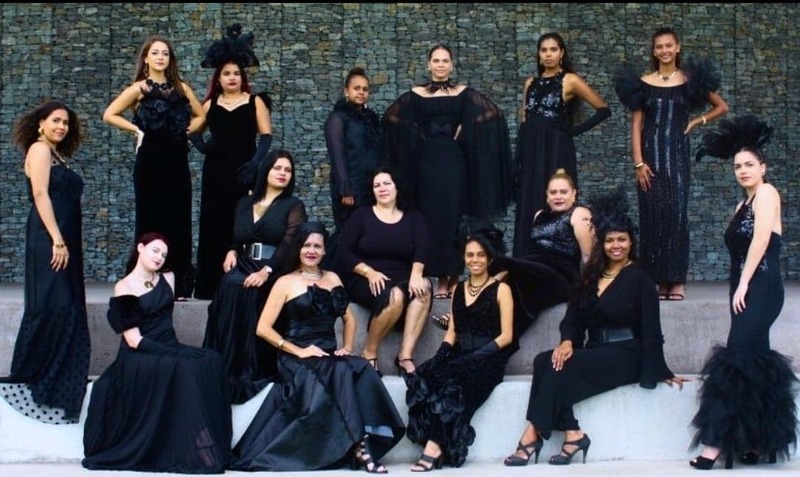 I was invited to showcase my label at the Black Bold and Beautiful Fashion Parade in Brisbane (March 2015) by the Managing Director, Sandra King, an amazing Aboriginal woman (who was one of the first Aboriginal models in the 70’s). She had encouraged me to submit the application that was advertised on Mercedes-Benz Facebook page. 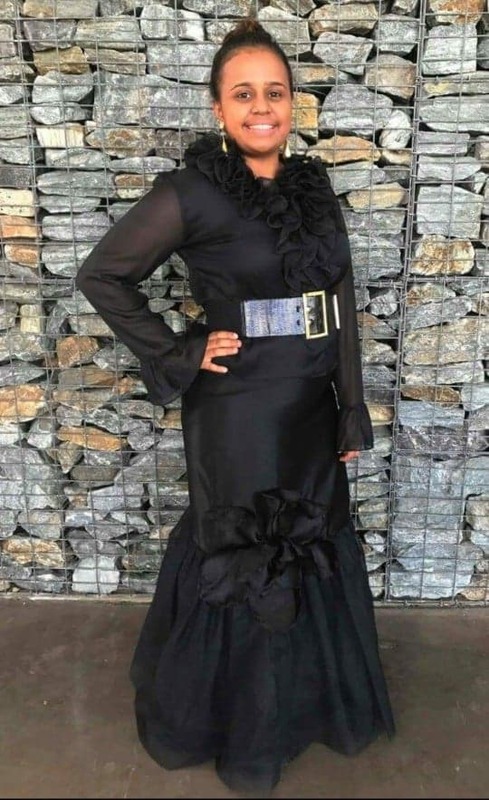 The Black Bold and Beautiful Fashion Parade was the beginning of many milestones and it was the first fashion event held outside of Cairns. TCI: What was it like to find out? As an emerging designer, I saw this as a great opportunity to take my label to the next level. I finished my second fashion show “The Townsville Fashion Festival” (June). This was my first mainstream fashion event, where I was the only Aboriginal/Indigenous Designer. This was my second milestone for 2018. TCI: How have you been preparing for MBFF? In preparation for MBFF, I had some unfinished designs that never made it to the runway. It starts with me searching for the unusual pre-loved garments in secondhand shops that I could re-style. Then I go on to deconstruct garments, and re-style them into new gowns, using either new or used fabric and materials. I had a local seamstress on-board to help me, but my ideas for my designs became a little challenging and we agreed to part ways. I found myself without a seamstress with many gowns to be sewn. Luckily, I found another lady who has sewn all 8 gowns for Mercedes-Benz! TCI: What can you tell us about what you have prepared for the fashion show? Any new items you are excited about showing? The collection I’m putting forward is called “The Donna Corrie Collection”, named in honour of my dear friend Donna Corrie. 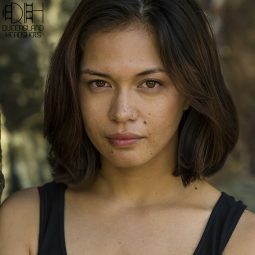 Donna is an Indigenous business woman from Cairns who has been a great support to me, in friendship and sponsorship and as an emerging designer. This collection is my way of showing my gratitude for her support. My designs are nostalgic, timeless and from the old world. They are Hollywood inspired and reflect on the woman’s beauty, and not the amount of bare skin it shows. I like long gloves and I design in black, black that represents my Aboriginal heritage. But also because black is sophisticated, elegant, classic and chic. All my designs are a one of a kind, no two gowns are alike. I love dramatic evening gowns, that build a woman’s confidence and draw on her natural beauty. I want the woman to be centre of attention when she wears my label, where everyone stops and stares when she enters a room. TCI: What are you looking forward to the most about MBFF? My designs appearing on the runway. I’m getting tingles thinking about it. I never dreamed or knew Mercedes-Benz existed, but I’m so grateful for the opportunity. Mercedes-Benz will take my label to the next level, my style, and also myself as a serious designer. I’ve come into this business without experience and I have always been a creative person. Before designing, I did a bit if modelling and before that I was a portrait artist. Let’s just say I swapped the canvas for the more luxurious materials like velvet, chiffon, satin, tulle and taffeta. I began modelling at 49, I’m 53 now. I want to inspire women that being 50 doesn’t mean life stops. You have to get old, and if you have a dream, pursue it, it’s your life, don’t waste it. TCI: Are there any particular designers you would like to see at MBFF? I don’t have any favourite designers, I create fashion from what I find in the Second-Hand shops. Usually, I will buy a garment because I like the sleeves, or cut a shirt from a dress and turn it into sleeves. Be sure to look out for MurriiQ Designs on the runway for MBFF on the 29th of August for the Next Gen show, where new upcoming designers will be showcasing. Price: General Admission $48 per person.